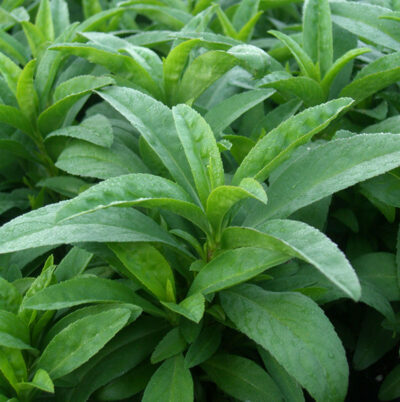 A delicious culinary stand-in for French tarragon that thrives in hot weather. Long, shiny, medium green leaves have a sweet anise/licorice smell and taste. Clusters of yellow, half-inch flowers grow on bushy, upright stems in fall. Use flowers in salads. Stimulant and diuretic that improves digestion. Flowers yield a yellow dye. Dried leaves can be burned to keep away insects. Full-part sun. Height 18-36″. Spread 36″. Winter hardy to 5°.